Rolex Submariner Date 16610, 40mm with stainless steel case and bracelet and black dial. This authentic Rolex watch has an automatic movement and comes with a two year International Warranty. 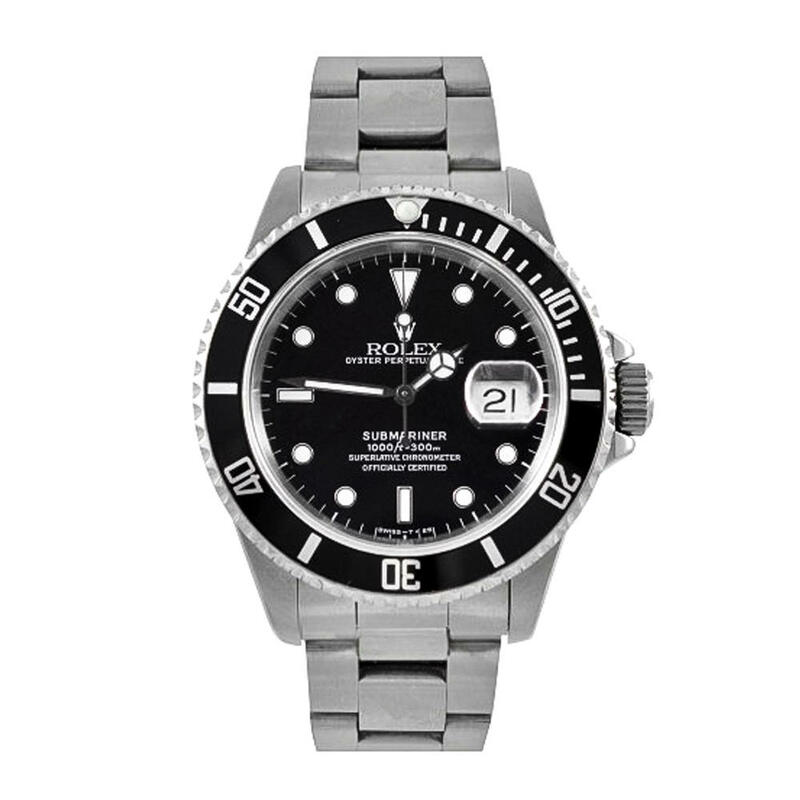 This Rolex Submariner 16610 watch comes with box, papers and warranty.